This collection is based on my 6th place winning design in a Spoonflower challenge. 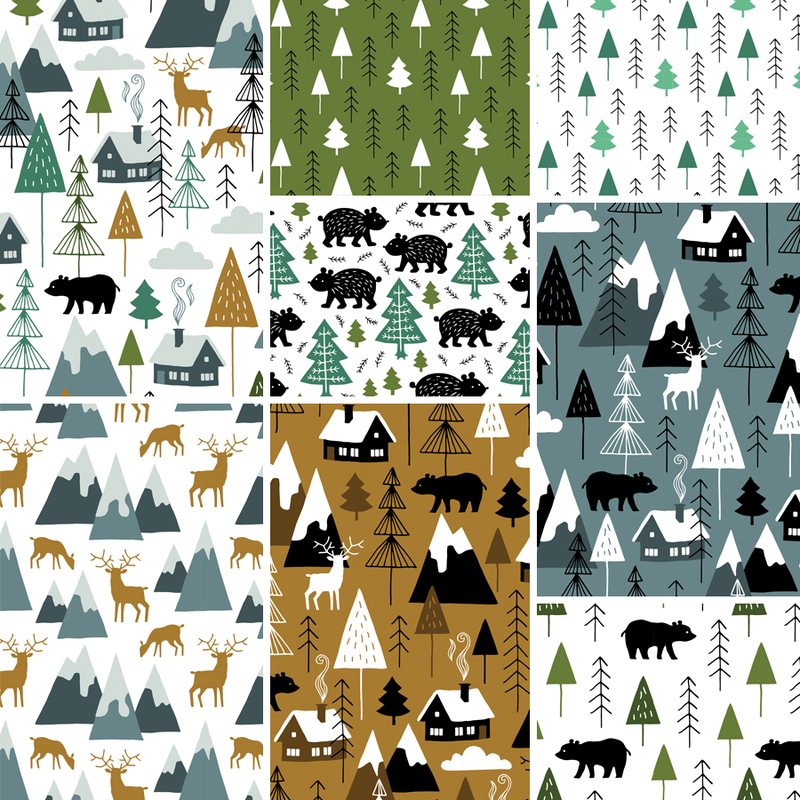 Bears and deers wandering in a mountain forest with warm cosy chalets. The collection consists of more than twenty designs and is available on fabric, wallpaper and gift wrapping in my Spoonflower shop.